Long-timers of the air/naval wargaming genre are familiar with one of the oldest, most enduring wishlist items in the community: Ship docking operations, ie. 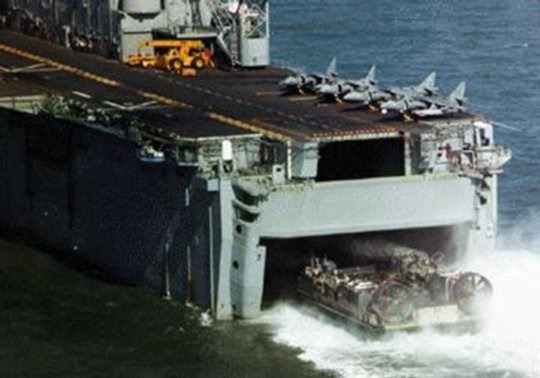 the ability for certain ships/subs to be hosted inside other vessels, dock into them and be deployed from them to the sea. And yes, there is a reason it has not been done so far; it’s not easy. 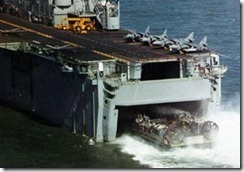 The deployment phase of amphibious operations: Landing ships leaving their parent amphibious ships and shuttling back and forth to the target coast to unload forces. Unmanned remotely-operated vehicles (ROVs) hosted in fleet boats and employed in such diverse roles as mine-hunting & mine-sweeping, naval surveillance, expendable anti-surface operations (“streetfighters”), towed decoys etc. Small boats operating from at-sea mobile bases (“motherships”), as well as small boats deployed from normal surface combatants for maritime blockade & inspection, piracy/counter-piracy operations etc. We are already working rapidly on amphibious and mine-warfare operations and hope to be able to present them in more detail in the future. It has been a while since we posted news on Command’s development on the front page, but as anyone watching our build-roll thread knows, we have been very busy. In the meantime, the 55th issue of the wargaming magazine PC4WAR is out, and features an interview on the background, concepts and development status of the game. With the kind permission of Guillaume Poulain we are reposting the interview here, along with a new batch of screenshots. A lot of our readers have played Fleet Command and Harpoon. They almost are a specific genre of videogames although they are rare. What lead you to create such games? 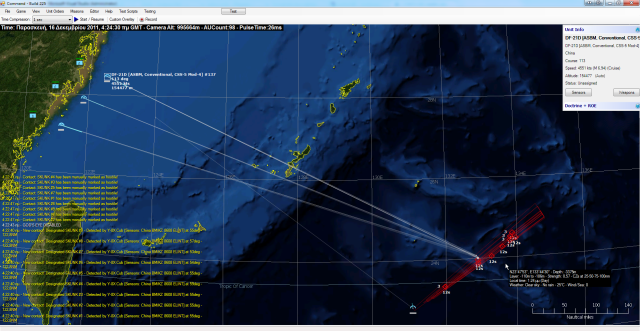 One of the things that unite the Command development group is a shared vision of the "ideal" wargame simulating air & naval operations, on multiple levels from tactical, "down in the trenches" details all the way to operational/strategic decisions. We have been looking for this game for over 2 decades now. Many titles in the past have come very close to our vision (notably the Harpoon series) but did not quite fit. So eventually we concentrated a sufficient critical mass of talent & experience that enabled us to develop it ourselves. 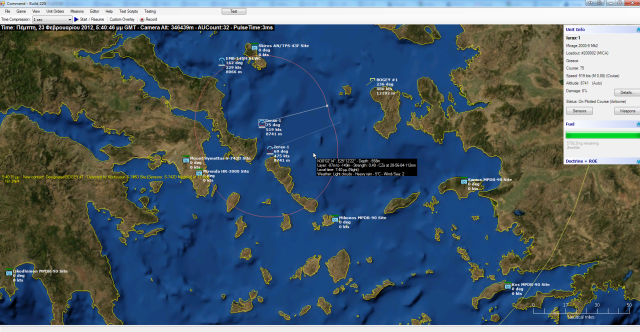 A typical day over the Aegean: Two Greek Mirage 2000-5s head to intercept an "unknown"
intruder that has been detected by the early-warning radar network. Despite your experience in this industry, Warfare Sims remains unknown for a lot of people; could you introduce your team? Are you totally independent, big, where are you come from…? We are a small group of people from all over the globe and all walks of life, united in our interest in defense & aerospace matters and wargaming & simulations. Each of us brings specific skills and experiences to the team and it’s the elegant fusion of these capabilities that makes Command work. Some of us are defense professionals, others simply hobbyist civilians. If I had to pick one distinct item that unites us, it’s the passion we share for our niche. As I once replied to a question in our forum, "we live and breathe this stuff". I don’t think a creation with the defining attributes of Command would have been possible any other way. 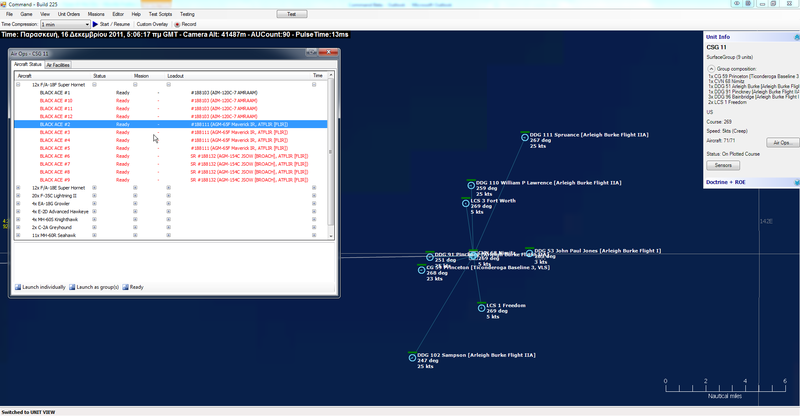 HMS Invincible off the British isles, with a lot of information windows open. «Command», how strange and ambiguous! Why did you choose this concise title? 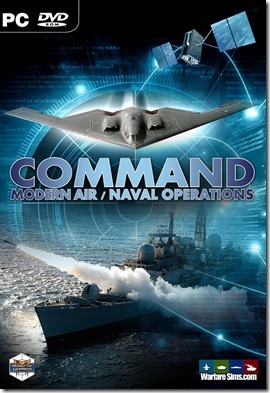 Actually the full title is "Command: Modern Air/Naval Operations". We think it describes what the game is first and foremost about – commanding forces in operations, not sitting in front of control panels and pushing buttons. This means having to worry about the big picture while also keeping an eye on tactical action, as air & naval conflicts can often hinge on a few key events. It also means providing broad guidelines of action to your forces, letting your "virtual crews" handle their own and intervening only as necessary. surface group centered around the brand-new aircraft carrier Shi-Lang. So, the game let players have the command of almost everything. 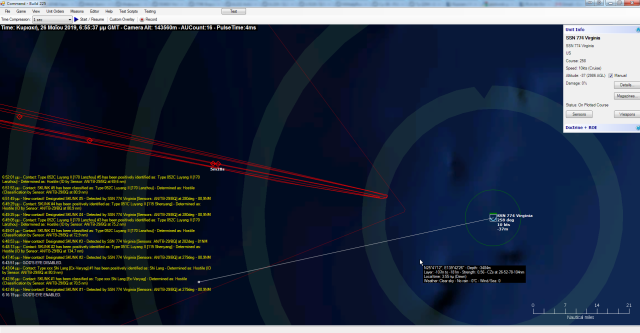 Sea, air, ground, even satellites… It looks like an ultimate game for someone who like tactics. How did you do to make all of this consistent? Mainly we concentrate on the essentials of what the game is about, and focus there at the expense of peripherals (a.k.a. Sid Meier’s "Covert Action rule"). For example, ground forces are included but they’re not at the center of the game, so we simplify their properties that have little relevance to air/naval ops (e.g. no separate front/side/rear/top armor rating on tanks). You can set up a massive ground battle (with platoon/squad-level units, artillery, air support etc.) and have lots of fun with it but it won’t dethrone TacOps or SPMBT in terms of detail/accuracy – and that’s perfectly fine. On the other hand, on the core aspects of the game, we are helped by the fact that air, naval, space and strategic forces often use common properties (e.g. both ships and aircraft typically use knots for speed measurement) and ways of organization & command, and share identical or nearly-so properties. For example both ships and aircraft may have guns, missile launchers etc. This allows us to integrate different branches into a common model while also providing "shims" for each separate need. scenario "Down Town", a massive joint USAF-USN airstrike on selected targets around Hanoi. Out-of-the-box scenarios are still under construction and we cannot comment on them. 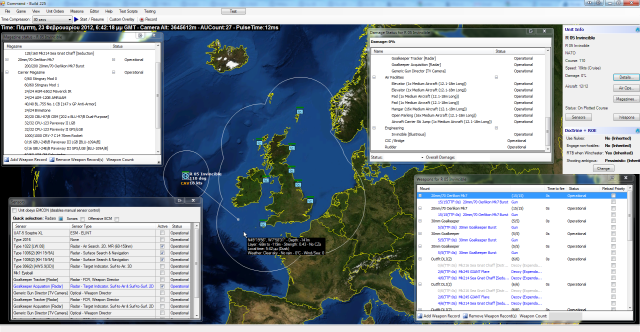 The integrated scenario editor, combined with the included databases, allows you to construct scenarios from 1946 all the way to the near future (2020+). The scale is primarily tactical/operational (small groups of ships, aircraft etc. ); that said, the design is detailed enough to handle small-scale operations like mine warfare (with mines as individual objects), piracy/boarding operations, squad-level skirmishes etc. while at the same time the engine is scalable enough to support thousands of units operating on a global level (with a suitably powerful PC, of course). The scenario editor allows both historical and fictional setups to be represented. The database developers are constantly researching for new real-world information to add to their datasets and can conditionally solicit requests for hypothetical systems (no F/A-37 Talons or Macross-universe fighters please!). the pairs of white shells in the air) and two overhead air assets, an A-10C and an MQ-9 Reaper UAV. What war mechanics did you simulate in the game? How does a single unit act and react? Our game currently includes models for physics (kinematics etc. ), multiple sensor types (radar, sonar, visual, ESM, ECM, laser, infrared etc. ), multiple weapon types, multiple weapon guidance types, multiple warhead types each with its unique damage effects (conventional and less-so), gunnery & unguided weapons (including CEP & accuracy modifiers), fuel consumption and flight models. All of these are impacted by environmental factors (time of day, weather) or electronic warfare with the overall purpose of presenting a usable and accurate combat model that we feel game hobbyists and professionals alike will appreciate. Combat is resolved in real-time on a per-unit and per unit-component level, so you have e.g. actual radars trying to detect targets and discrete electronic countermeasures trying to jam or fool them. 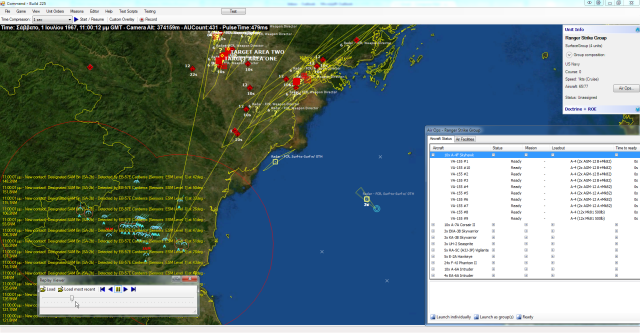 The degree of detail we have incorporated in weapons modeling offers simulation opportunities hitherto unprecedented in this genre; so for example we have a much more detailed ABM model because a given surface-to-air missile may not have the flight characteristics (speed, acceleration, altitude) or guidance capabilities to deal with a certain ballistic missile type. You simply don’t have that in any other comparable game out there. The current game AI is a fairly large pool of scripted behaviors based on the type of duties a certain unit is assigned to, mixed with any overrides stemming from its current situation. So for example an aircraft may initially calculate its desired heading, throttle and altitude based on the fact that it’s assigned to a ground strike, but if at the same time it faces an imminent threat (e.g. an incoming missile) then this takes priority. We’ve added more variability with mission parameters and rules of engagement which make these behaviors less predictable and more configurable. We do have several automatic evasion behaviors and counter-SEAD routines programmed in where they make sense to include. The game includes a pretty refined logistics model. Airbases and ships have multiple magazines and mounts that can have weapons added and subtracted from them. Air refueling is done and we hope to have a ship replenishment model done in the future. Crew management, quality and morale are certainly important but we would prefer to develop an implementation that lets the players input these values. Unquantifiable values are very subjective and having them hardcoded into the game can easily lead to unhappy users, which is what most developers try and avoid. neighboring city will be left destroyed. Do you plan to implement a political/diplomatic dimension in Command? 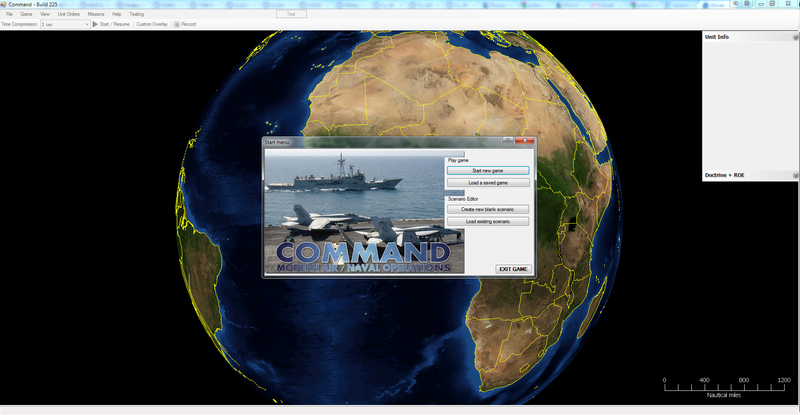 Not initially, since Command is first and foremost a tactical/operational game. We do, however, plan to have certain hooks in the game’s event engine that could be used to support "if-then" branching based on certain conditions happening in the scenario. 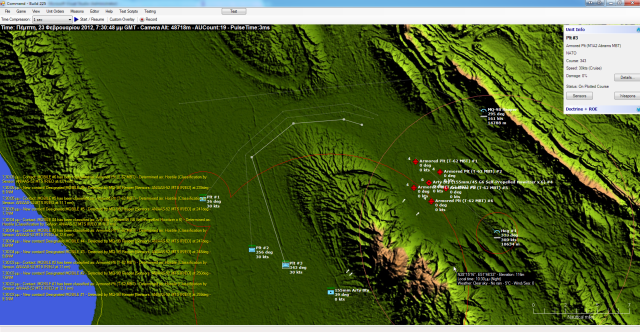 For example if you occupy area-X before time-Y, the enemy gets an extra squadron of aircraft to throw at you. This can easily be framed as a political-context action ("your campaign so far has been so successful that your enemy has been forced to ask for outside assistance"). targets to be detected by the satellite pass so that they can attack them from long range. There are two factors that make this a non-issue. One is that we’ve gone to great lengths to place the inherent technical complexity of modern combat "under the hood" as much as possible. You select a unit, order it to attack a target and off it goes; if the unit needs to flip two dozen switches to properly illuminate a semi-active guided weapon or some other technobabble, it will flip those switches itself. So you don’t need Carlo Kopp’s PhD in electronics to win a scenario. On the other hand the copious info is there for the techno-maniacs (like us) to devour: Do a "manual weapon allocation" attack (yes, you can specify an attack down to the last bullet if you want) and the unit will tell you all the reasons it can or cannot shoot at the target ("Because it’s Tuesday!"). Likewise, we have a detailed message log (also configurable) that lists all the juicy details on why that last seemingly easy kill went awry. So an AF lieutenant and Joe Public can both have a go at this and both can enjoy it, each from his own perspective. The second factor is that we have a fairly good grasp of our intended core audience. The users that we are targeting are enthusiasts of the niche at least as much as we are (or even professionals in it) and so they "get" this stuff. In fact, we often find ourselves receiving valuable feedback (contributions, corrections etc.) from them in areas where our knowledge or modeling is deficient. So we are confident that the people for which we are developing this game will appreciate it for what it is. ASBM attack against a cluster of ships detected by a patrolling Y-8X maritime aircraft. The AI must be hard to manage in this kind of game. What can we expect of it? Will it be possible to play in multiplayer? We have taken a "bottom-up" approach to developing the AI for the game. Initial emphasis is strongly tilted towards the tactical side, so that the actual assets can be trusted to make sound decisions on their own after being given their general orders (if they are on your side) or present a credible threat without cheating (if they are the enemy). This involves decisions for navigation, throttle control, target prioritization, weapon selection, threat avoidance etc. So it’s a complex beast for sure. Going up a level is the operational-level AI which deals with asset management (e.g. 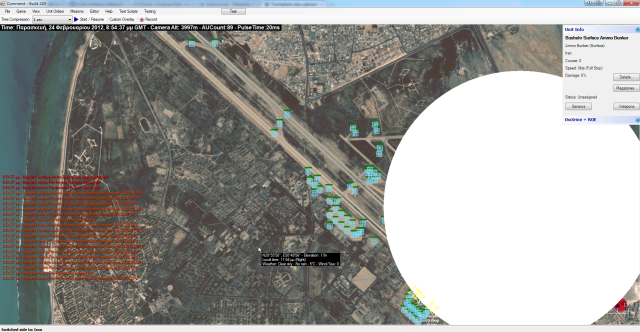 managing air ops in a base), mission prioritization & force allocation, logistics etc. This part is much less developed at the moment because its very existence hinges on the presence of a solid tactical foundation underneath it. There is still great room for improvement there and it is probably going to take a significant portion of our development effort as we move on beyond the first release. Multiplayer is something that has been taken into account on the architecture since Day-1 of development but it’s not there yet. We would not want to release a half-baked implementation so whether it will appear in the first release is a very good question indeed. What I can say at the moment is that we have taken the lessons of past games in this genre to heart and will try to avoid the typical pitfalls we have observed in them. We realize that our audience is grown-ups with real lives, jobs and families who have maybe 15 mins of free time in a day, and our MP design reflects this. 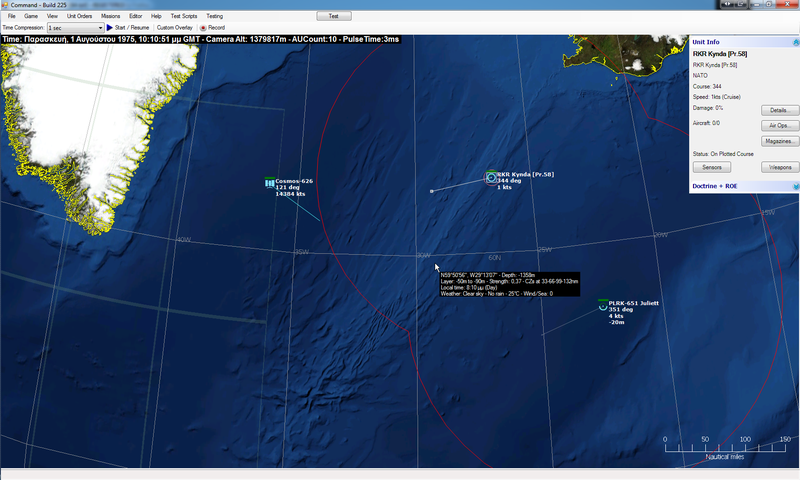 A modern US carrier group, and a window showing its available air assets. The game will ship with an integrated scenario editor that enables users to modify existing scenarios or build a new scenario of their own. 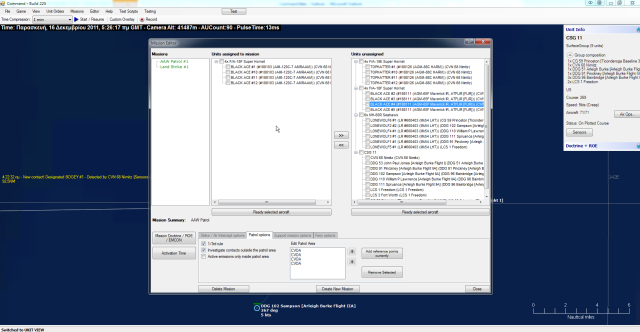 The scenarios released with the game are made using this editor too. The map symbols (units etc.) are stored on separate graphics files so they can be fully customized. We are also considering adding "hooks" for sound-generating events (planes taking off, weapons firing, bombs impacting etc.) so that players can add the sounds they want to each event. The databases used by the game are readily accessible but read-only; you can browse through the data but the game will refuse to use an altered database. This reflects our past experience with other games where the ability to freely modify the databases and use them was abused by certain parties who bulk-copied the hard works of others without permission and created much animosity in their respective communities. At the same time we realize that players often want to experiment with the units at their disposal and a complete DB lockdown would be restrictive in this respect. For this reason, we have taken a great deal of modding functionality that previously required DB changes and instead moved it to the scenario editor. For example if you want to add a new weapon to an existing ship, you can now do it in the scenario editor and never touch the DB (this also means that you are no longer bound to the DB author’s update schedule). Such edits are saved with the scenario and effectively act as "DB overrides". One of the things we are particularly proud of is the ability to construct very complex & detailed installations (e.g. airbases) once, save them and re-use them in other scenarios as well as exchange them with other players. This is a tremendous time-saver when building non-trivial scenarios and is just one of the ways we are streamlining the scenario creation process and making it more accessible to non-experts. We have begun to release videos that demonstrate the ease with which a user can very quickly put together comprehensive scenarios and play them out, and the feedback so far has been very positive and encouraging. So we are very confident that the user community will embrace the tools we are providing with the game and will ultimately craft creations that will far surpass our out-of-the-box scenarios. a wide range of options for customizing the mission: doctrine, EMCON, activation time, AI behaviors, editing the patrol area etc. Is it going to be released in 2012? We certainly hope so. The date of the first release will be finalized once our publishing/distribution decisions firm up. After that, our plan is to employ a steady stream of subsequent update releases to improve the game. We are definitely in for the long run with this. Thanks! We know you’ll like the game.